Timeshare Exit Cost: How Much Is Too Much? Timeshare Exit Team Cost: How Much Is Too Much? Buying a timeshare is a huge financial commitment. Between monthly fees, interest, and maintenance fees, the costs can add up. This may lead you to start calculating the timeshare exit team cost as you wonder how in the world you can get rid of your timeshare. 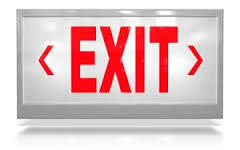 Read on to learn some of the expenses associated with timeshare exit and determine the best way for you to get rid of your timeshare. You went on vacation and did something you swore that you would never, ever do. You bought a timeshare. Between being exhausted from getting reading and relaxed once you were there, you were a prime target for the timeshare salesman. You fell for their incentives and were convinced that your timeshare would be a sound investment. After all, the gentleman said it would increase in value, and you would be able to sell it for a profit. Once you got home, you probably read over the fine print to realize that you were outside your period of the right of rescission and couldn’t get out of it without paying a penalty. You most likely decided to go ahead and see what owning a timeshare was like. Maybe it would enhance your life and make you enjoy your vacations more. For the first few years, you loved your timeshare. You could go on vacation once a year to somewhere like Florida, Las Vegas, or Salt Lake City. You had just enough points every year to take a decent vacation. But then one year you decided to go to a prime location during a peak time. Maybe it was the Bahamas in summer or skiing in Vail. This was when you realized, your timeshare was a scam. You didn’t have enough points to do anything above a bare-bones vacation. Everything costs extra. So you start researching the timeshare exit team cost to determine the best way to get rid of your timeshare. You come across a few options, but they are all pretty expensive. For example, you probably found that one answer to the question of how to get rid of a timeshare is to do a timeshare resale. This may not be such a bad idea, you think. After all, the timeshare salesman did tell you your timeshare would gain equity. Some research on a timeshare resale quickly reveals that your timeshare did not gain in equity while you owned it. In fact, the timeshare exit cost associated with selling your timeshare is quite high. You may even end up owing the timeshare company money once you sell your timeshare because it lost value. You will also have a hard time finding a buyer because there is an overage of new timeshares on the market. Another option is to donate your timeshare. This has a relatively low timeshare exit cost but can be difficult. You have to find someone who wants a timeshare and can take over the monthly and annual fees associated with it. This can be an expensive gift, and many people do not have someone in their life who would want it. So, a resale and a donation are out of the question. You probably think you are stuck with your timeshare. Our timeshare exit team is here to tell you this is not true. You can get rid of your timeshare through a timeshare cancellation. I know what you’re thinking “cancellation? My right of rescission is long gone.” Our timeshare exit team can get you a timeshare cancellation even when you are outside of this time period. 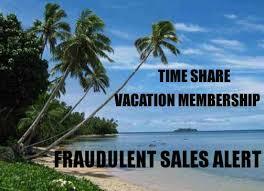 We deal with timeshare cancellations all day every day. We know the secrets of the timeshare industry, and we use them to our advantage. We can write a resort authorized cancellation letter that will help you get rid of your timeshare. Once you call us, you don’t have to deal with the timeshare company anymore. We do it all for you. We’ll start with a complimentary review of your timeshare contract. We then tailor our cancellation approach to the specific terms and conditions in your contract. There is no one size fits all when it comes to our approach to doing a timeshare cancellation. We are here for you twenty-four hours a day, seven days a week, three hundred and sixty-five days a year. Call us today and let us figure out how to get rid of a timeshare so you can get your life back!